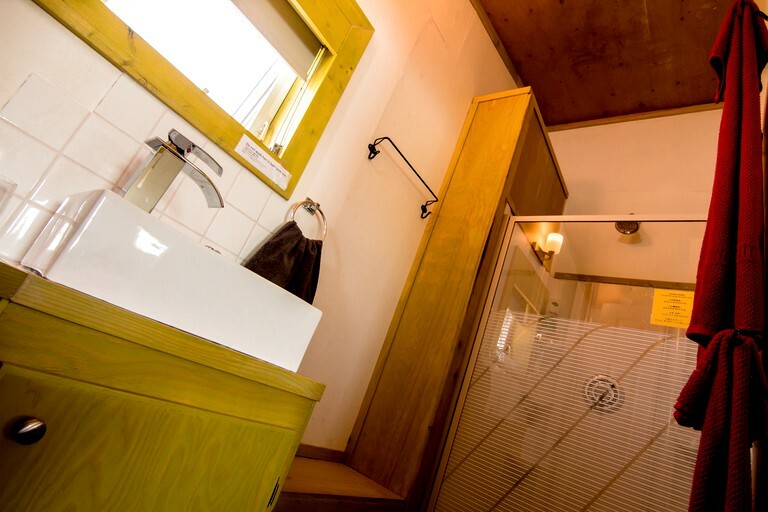 Amenities available to guests at this glamping site include Wi-Fi, basic toiletries, heating, and a laptop-friendly workspace. Breakfast ingredients are provided, so guests can make their own breakfast at their leisure. 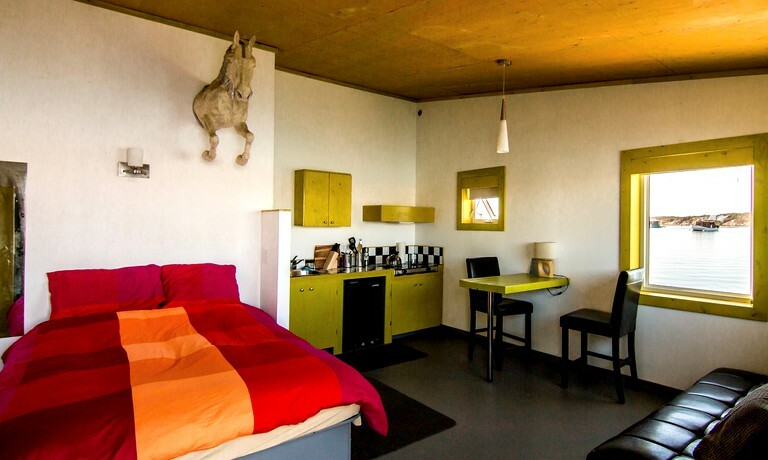 Each suite has its own barbecue. There is also a wrap around deck to swing chairs around to face the sun, as well as in the winter to set a tripod on catching the incredible northern lights directly overhead. Guests will have no need to book aurora tours! In summer months, guests are provided with a canoe to get to and from the houseboat, or they can be ferried over with the host's powerboat in poor weather conditions. If guests chose to alternatively spend the winter aboard the rental, they can drive right up and park beside their suite on well over a meter of ice. 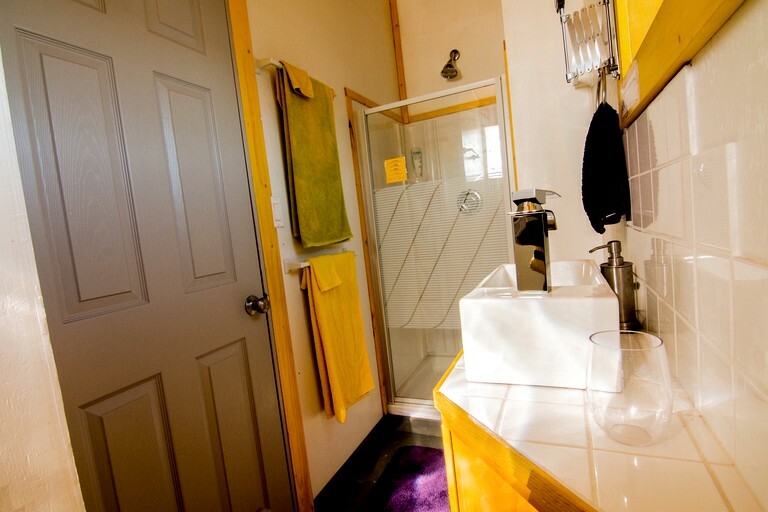 Hot running water, a dependable heating system, free Wi-Fi, use of a canoe come to get back and forth to land, free pick up with a power boat at the main dock to get to the room, and ingredients to make a tasty breakfast for each person on board are all included. 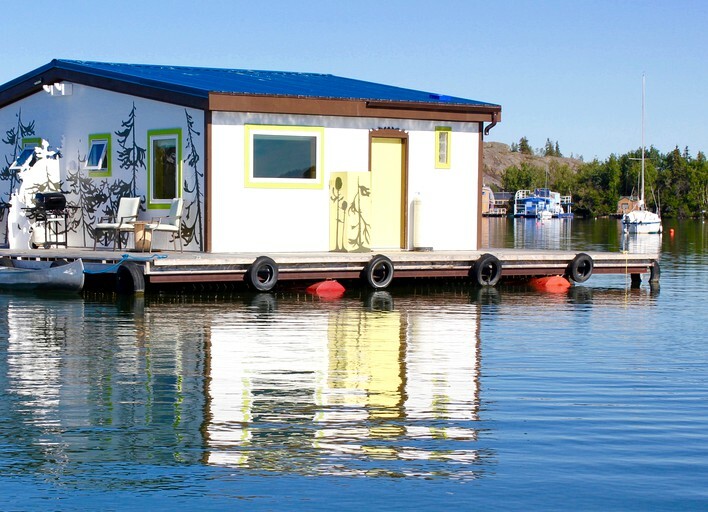 Located on the clear, pristine waters of Great Slave Lake in Canada, this bed and breakfast floating home rental offers guests a one-of-a-kind experience. Anchored in open water (as opposed to being moored at a dock) it boasts perfect views of the houseboat community. 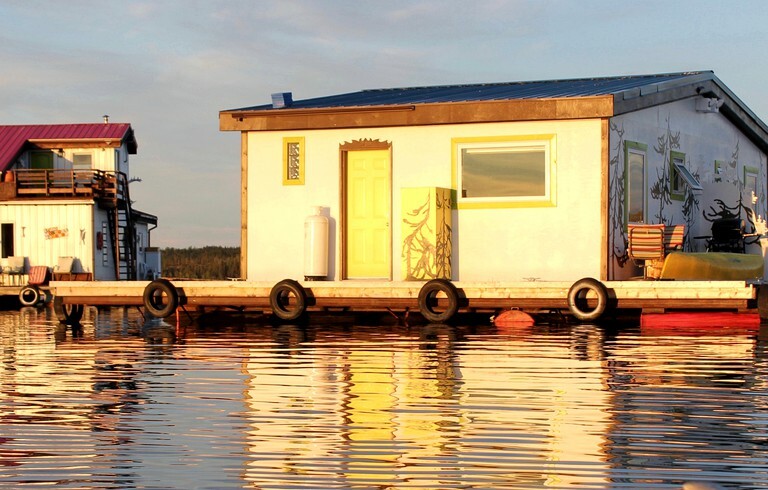 Docked in Yellowknife Bay, guests can spend their days exploring Yellowknife itself and visit some of the attractions it has to offer—such as the Prince of Wales Heritage Centre and the Northern Arts Cultural Centre. 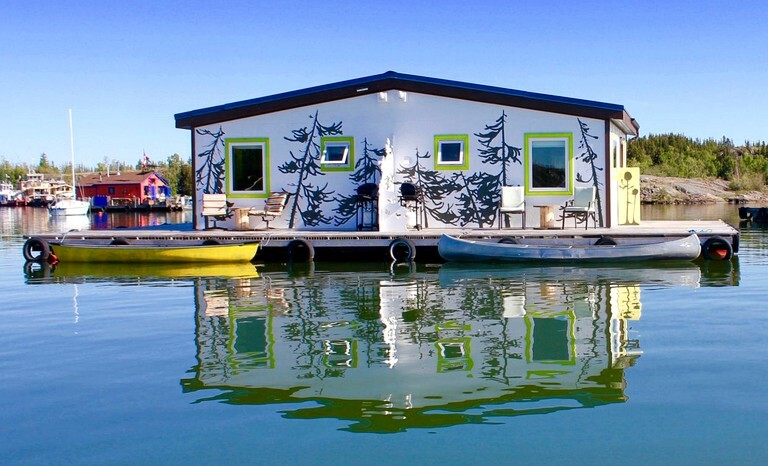 This houseboat rental is docked in a vibrant community with plenty of activities and excursions available for guests to spend their days chilling on the beach on the other side of this small town of 20,000 people. 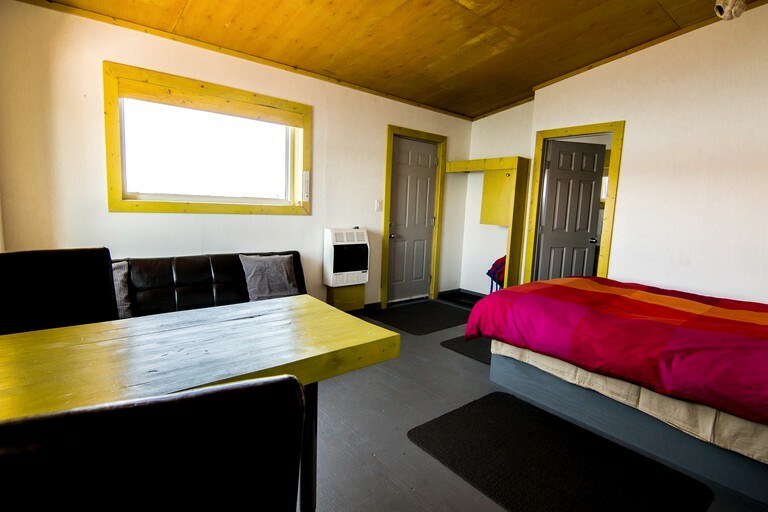 There are plenty of restaurants to choose from as there are many cultures living in Yellowknife, and guests can enjoy different types of visual cultures such as the museums, art galleries, and movie theatres. The nearby area lends itself to exploring with guests being able to enjoy hikes, biking trips, and endless trails. Tour operators offer many adventures in the summer including; fishing tours, hiking routes, and historical walks. 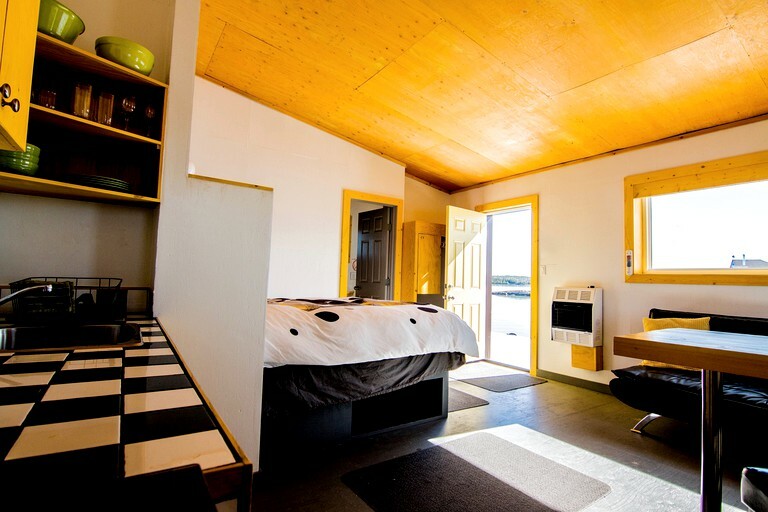 Guests who alternatively chose to spend their winters at these unique houseboats can enjoy dog-sledding, cross-country skiing, kite-skiing, or jet-skiing. 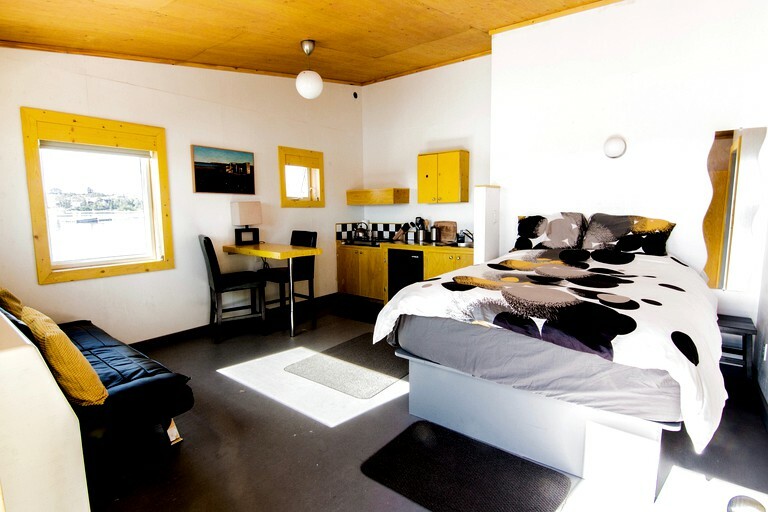 Last but not least, this is an ideal location for catching a prime view of the infamous Northern Lights. Guests can take advantage of the aforementioned deck, and enjoy watching the Northern Lights dance overhead—made even better due to the fact that there is not an ounce of light pollution around. This accommodation is not suitable for children between the ages of 1-16 in the summertime due to water dangers; there are no railings around the deck. In winter on the ice, no children under five are allowed due to the heating system. No smoking is allowed nor pets.